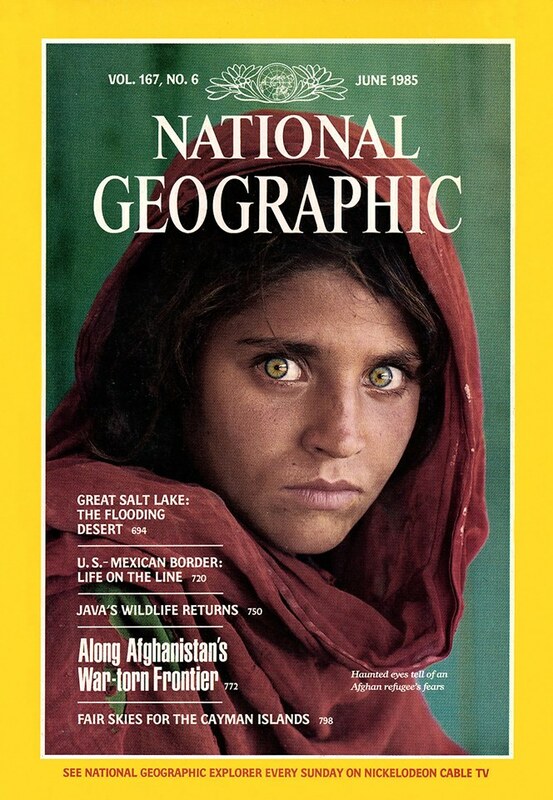 June 1985: The image of a young Afghan woman with intense green eyes in a red headscarf makes the cover of the National Geographic Magazine. 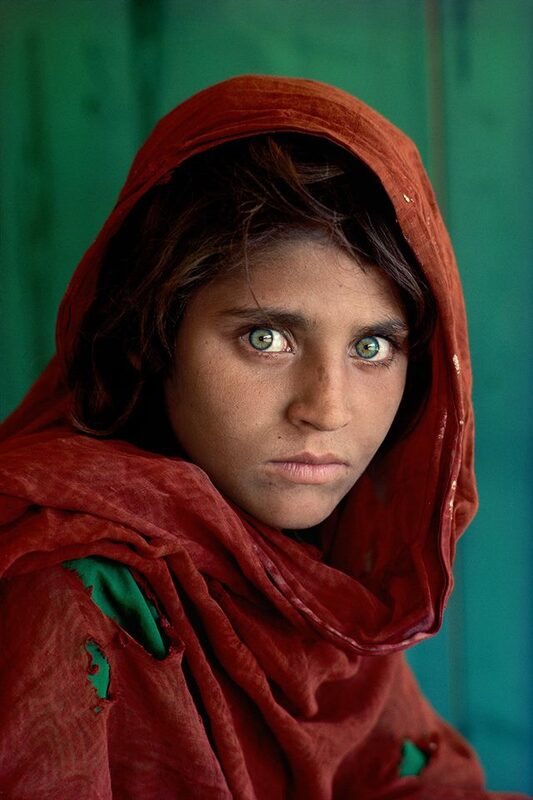 The portrait was taken in 1984 by the amazing photojournalist and visual storyteller, Steve McCurry. Compared with Leonardo Da Vinci’s painting of Mona Lisa, the portrait has been called “the First World’s Third World Mona Lisa” and it became a symbol of refugee girl / woman in a distant camp. 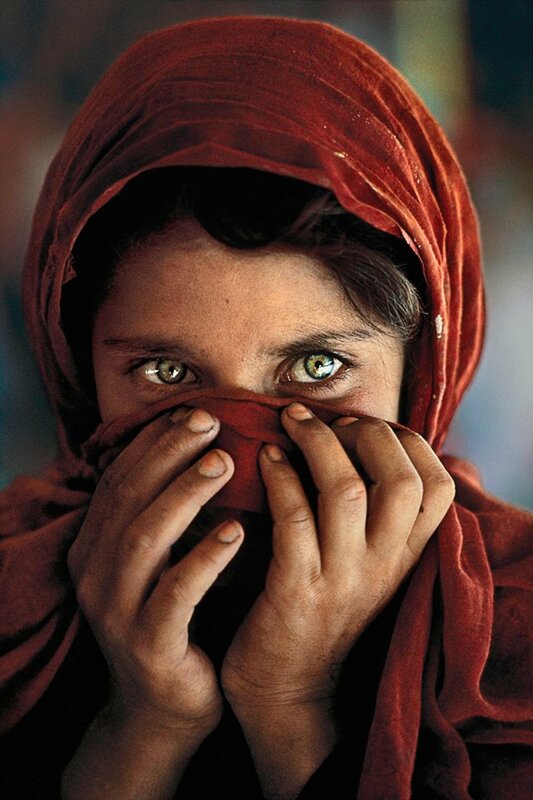 1990s: Steve McCurry made several unsuccessful attempts during the 1990s to find the Afghan Girl. 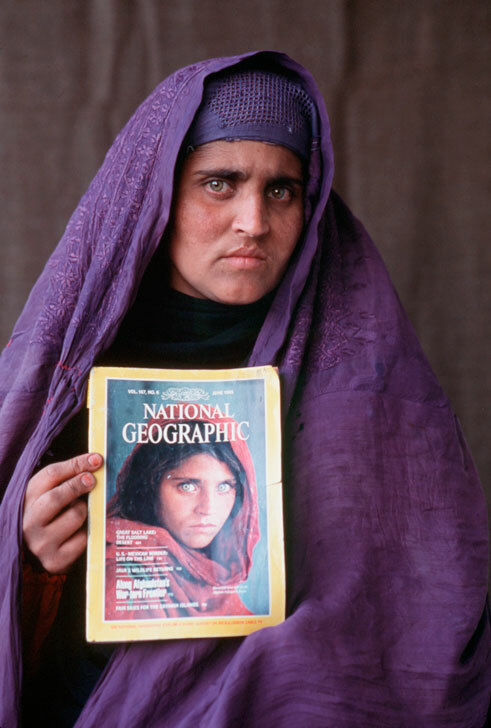 January 2002: A National Geographic team traveled to Afghanistan, in a new attempt to locate the young woman who had become the most recognized photo in the history of National Geographic. 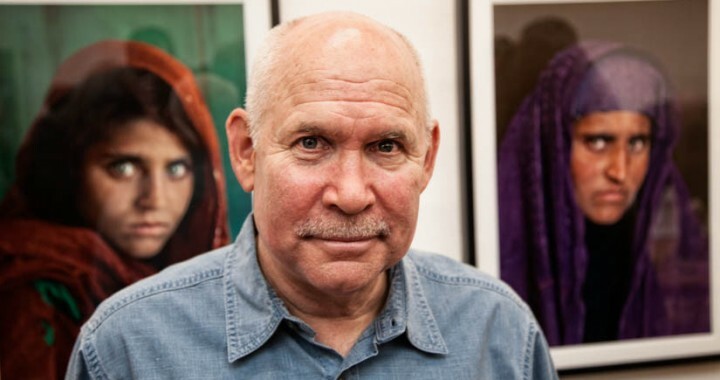 Steve McCurry found out that the Nasir Bagh refugee camp in Pakistan (where he had taken the photo back in 1984) was soon to close, so he went on site, showing the 1984 photo to the remaining residents. 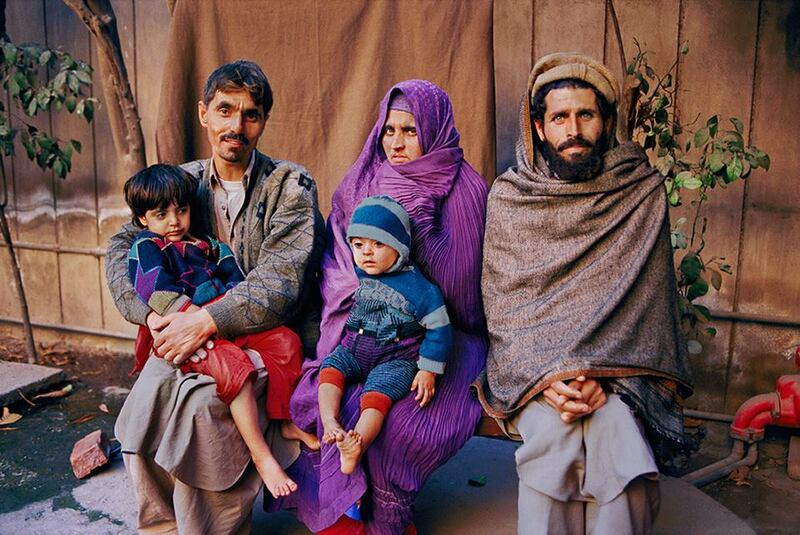 Initially several women erroneously identified themselves as the “Afghan Girl”, some men mistakenly identified her as their wife. 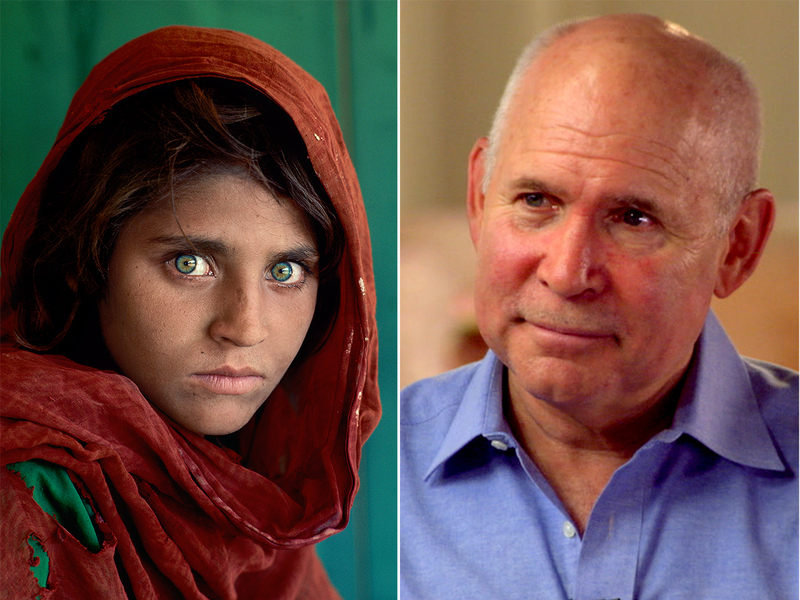 Steve McCurry and the National Geographic team continued the search and following the leads they finally identified the woman in the photo as Sharbat Gula, aka Sharbat Bibi (born March 20, 1972). Sharbat Gula was a 12 years old girl when Steve McCurry had taken her photo in 1984, she was now a 30 years old young woman. 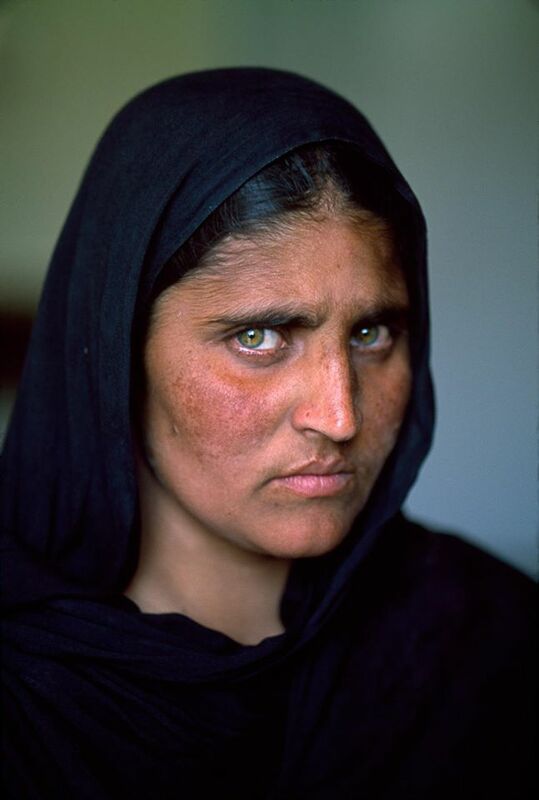 Sharbat Gula had returned to her native country from the refugee camp in 1992. The life of Sharbat Gula: Pashtun by ethnicity, her parents were killed during the Soviet Union’s bombing of Afghanistan when she was around six years old. Along with her grandmother and siblings she walked across the mountains to Pakistan and reached the Nasir Bagh refugee camp in 1984. 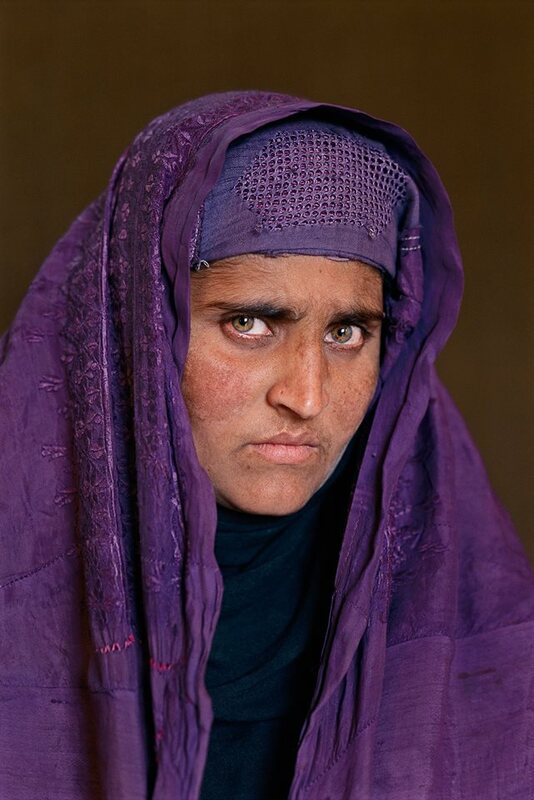 She married Rahmat Gul between the age of 13 and 16, and returned to her village in Afghanistan in the mid-1990s. On 26 October 2016, Gula was arrested in Pakistan by the Federal Investigation Agency for living in the country using forged documents. She was sentenced to fifteen days in detention. 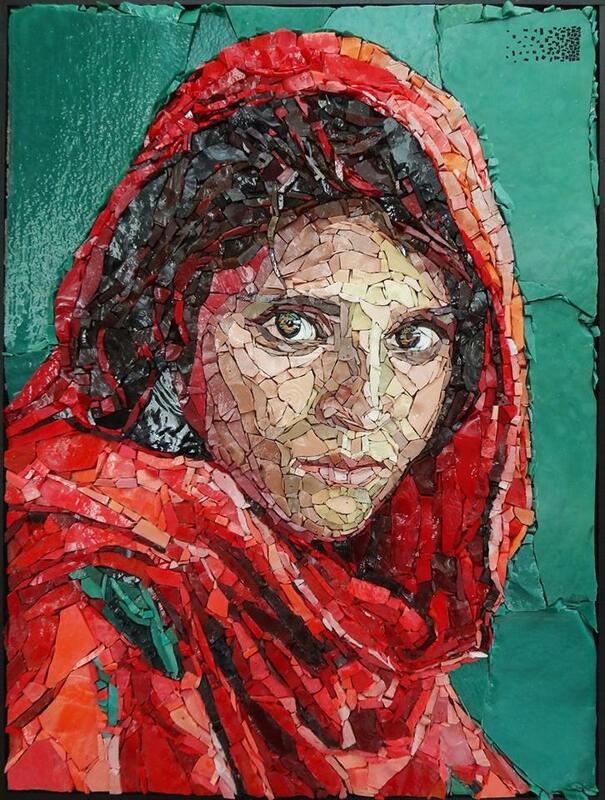 I also would like to thank all Civil Society and Human rights groups in Pakistan for the outpouring of their support and their going to court and the police in Peshawar to help out with Sharbat Gula’s case. While these sentiments are greatly appreciated, I would humbly request them if they would allow only the designated legal team to represent Sharbat Gula. Should we need your legal services we would certainly contact you.” Full text here. November 4, 2016: <With utmost delight, I announce that Sharbat Gula is now free from the legal troubles she endured over the past couple of weeks. She soon will also be free from an uncertain life of a refugee as she will be on her way back to her own country as soon as next Monday where she still is a beloved image and a national icon. 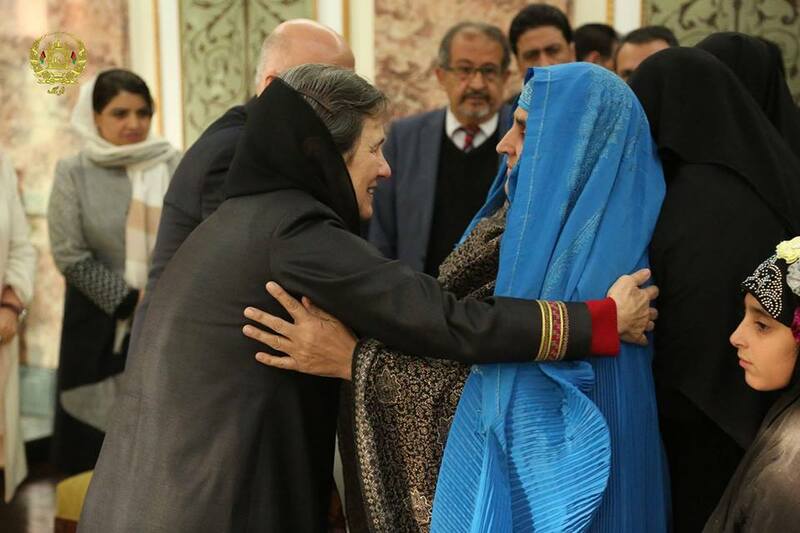 She will be met by President Ashraf Ghani upon her arrival to welcome her back home and help her with her resettlement. 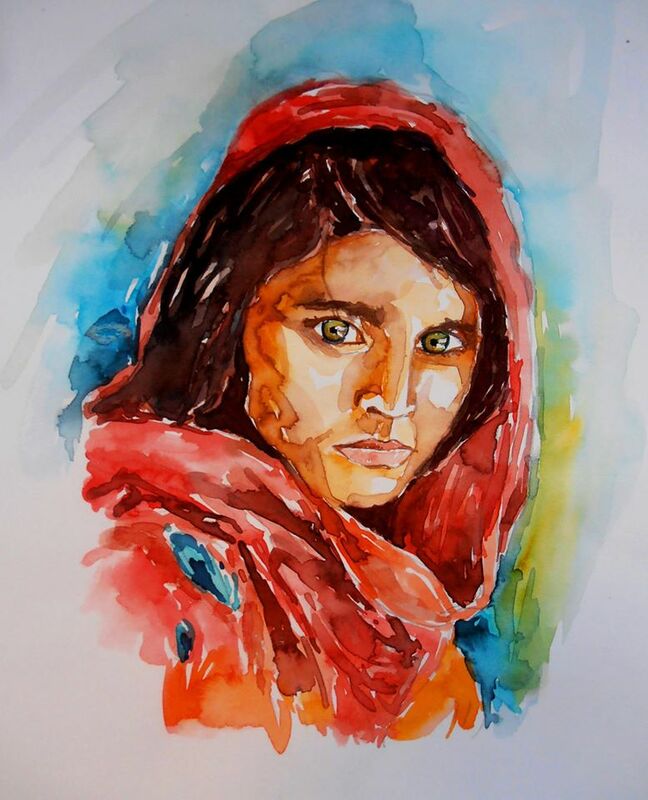 I take this opportunity to thank all those who voiced their support and sympathy to the case of Sharbat Gula. This includes prominent as well as ordinary people within the Government, civil society, Peshawar Court and FIA office, media and the public in large. You all played a significant role resulting in today’s good news.> Dr Omar Zakhilwal, Afghanistan Ambassador to Pakistan. Posted in Respect, Truth and tagged Diversity, Humanity, Tolerance. I have been a faithful reader of Natinal Geographic since 1978, now in my country it has been increasingly difficult to find a magazine, and I could not buy it because it costs almost 2 minimum monthly salaries, it is terrible, my country Venezuela has been kidnapped by criminals and the world has not yet realized. This woman, along with her family, should be remunerated to improve the education of her family, and offer her a better place to live, a lot of money has been generated with her, I think it is fair.